Your home is beautiful by day, however, by lighting the exterior of your home with LED lighting this truly brings out all features of your home and makes your home magical and elegant at night. 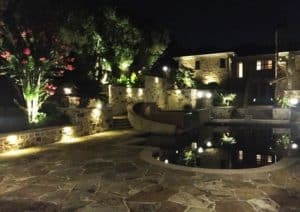 Enhanced Outdoor Lighting will help you select the most durable LED lighting fixtures for your Austin or San Antonio home. Our designers will walk your property and offer suggestions and listen to your requests and answer your questions. We are also happy to work with your landscape architect or designer to maintain the style and theme of your property. 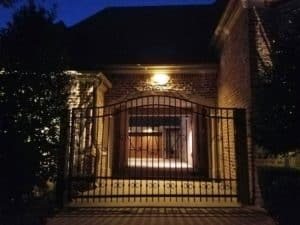 We understand that with the installation of our security landscape lighting it not only enhances your beautiful home but it also provides a great sense of security to your home. Imagine, you will not have to worry if your family or kids are coming home to a dark house or when you travel you can have the peace of mind that your house is beautifully lit. 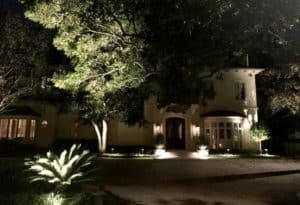 Security companies, as well as police officials around the country, encourage homeowners to have their homes lit to discourage and criminal activity with outdoor lighting you will achieve that. The improved look of your home with Landscape Lighting and Design with our LED landscape lighting will amaze you. 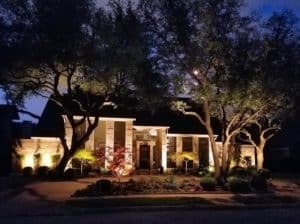 You have invested a great deal of time and money into the landscaping of your home and you should showcase your work with exterior lighting so beautiful trees, shrubs and flower beds are visible even after the Texas sun goes down. Outdoor lighting around your landscaping in the front yard increases curb-appeal. This is important whether you plan to sell your home anytime soon or not. Everyone wants to live in a beautiful home. Your outdoor patio or arbor is an enjoyable extension to your home and shouldn’t be limited to use in the daytime only. Lighting your patio or arbor can be done in a variety of ways. 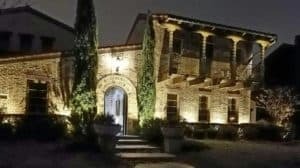 Enhanced Outdoor Lighting in Austin and San Antonio is ready to help you choose the most affordable and usable method of lighting. We only install durable LED outdoor lighting fixtures made to withstand the Texas weather and wet conditions around a pool or spa. If your home has a beautifully designed garden you should get the most visibility as possible for full enjoyment of your hard work and investment. 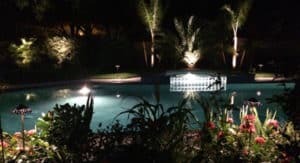 Lighting special water gardens outside or outdoor lighting for butterfly gardens, herb gardens, and other beautiful areas of your property is our specialty. 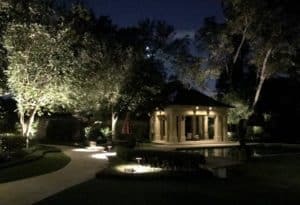 When choosing outdoor garden lighting the professionals at Enhanced Outdoor Lighting will choose from fixtures and lighting choices that will match and compliment your home and other outdoor lighting features. According to energystar.gov LEDs are “directional” light sources, which means they emit light in a specific direction, unlike incandescent and compact fluorescent bulbs, which emit light and heat in all directions. For this reason, LED lighting is able to use light and energy more efficiently in many applications. The use of LED lighting can be considered for all of your outdoor lighting needs. Outdoor Lighting around your pool and outdoor living areas is essential and with our poolside lighting. In Texas, we spend a great deal of time around a swimming pool. If your pool is not properly lit it is not safe to use after the sun goes down. 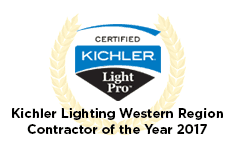 Enhanced Outdoor Lighting in Austin and San Antonio is ready to help you keep that from happening.